Dawn McKenna; a Certified Kitchen, Bath and Residential Designer has joined Clairmont, Ltd. The announcement was made by Patrick Franz, owner of the 26-year-old building firm. Burr Ridge-based Clairmont, Ltd. recently acquired Artisan Builder and Co. of Joliet. Artisan’s owner and founder Dawn McKenna; a Certified Kitchen, Bath and Residential Designer has joined Clairmont. The announcement was made by Patrick Franz, owner of the 26-year-old building firm. “I have known Dawn for at least 20 years. Her dedication to design will be a tremendous asset to Clairmont. She is highly accomplished and loves working with clients,” said Franz, who met Dawn through the Southwest Suburban Home Builders Association (SSHBA); where both began the Remodelers Council together there in 1999. The SSHBA is chapter of the National Association of Home Builders (NAHB). Through her association involvement she has demonstrated commitment to elevating professionalism in our industry. Dawn has been the owner of Artisan Builder and Co. a full service design and remodeling company in Joliet since 1989. She became a Certified Kitchen (CKD) and Bath (CBD) Designer in 1996 through the National Kitchen & Bath Association (NKBA). In addition to being a member of the NKBA, Dawn has served as past president, vice president and on the board of directors of the Southwest Suburban Home Builders Association. 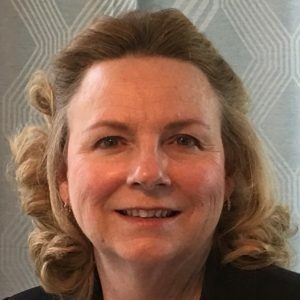 She has also served in various leadership capacities for the Home Builders Association of Illinois (HBAI), the National Association of Home Builders and its Remodelers Council. Her work has garnered multiple Remodeler of the Year honors from the HBAI and she has been featured on HGTV’s “New Spaces” TV program. 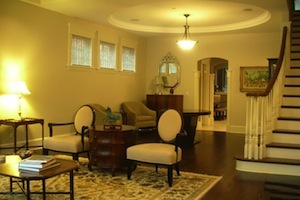 Clairmont Ltd. recently introduced 10 custom home sites in Downers Grove at 57th St. and Carpenter. Clairmont Ltd. was named Best Of Houzz 2016 for Customer Service and was also ranked 116 of the top 550 remodeling companies in the country by Remodeling Magazine in its December 2015 issue 2015 Remodeling Top 550. Follow Clairmont Ltd. on Houzz http://www.houzz.com/pro/clairmont-remodeling/clairmont-ltd, on Facebook at https://www.facebook.com/clairmontltd/?fref=ts or visit their web site at http://www.clairmontltd.com/ or call (630) 325-5058.